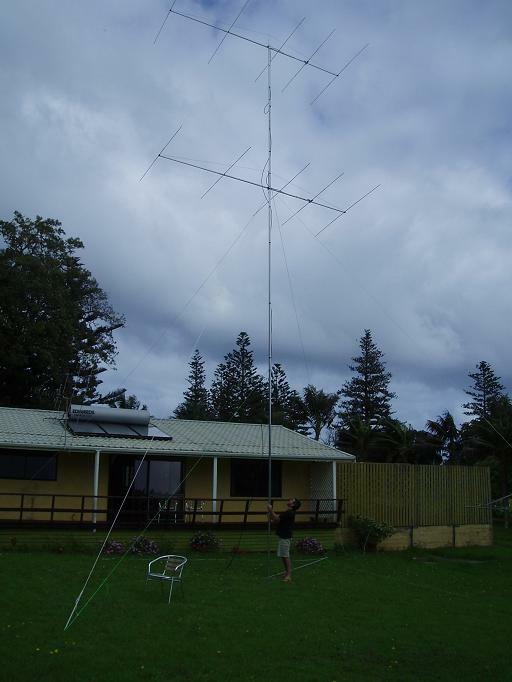 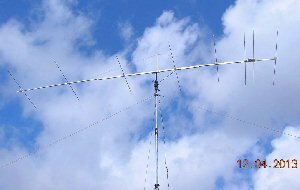 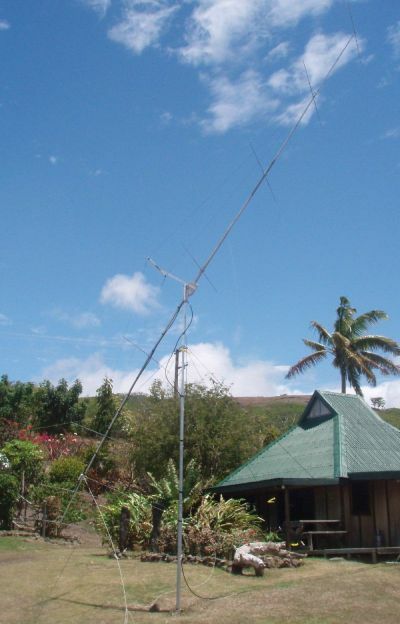 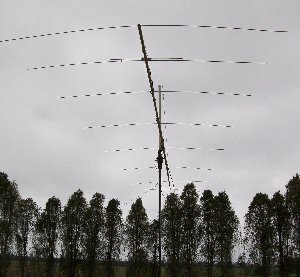 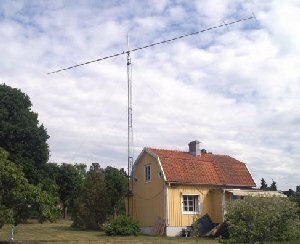 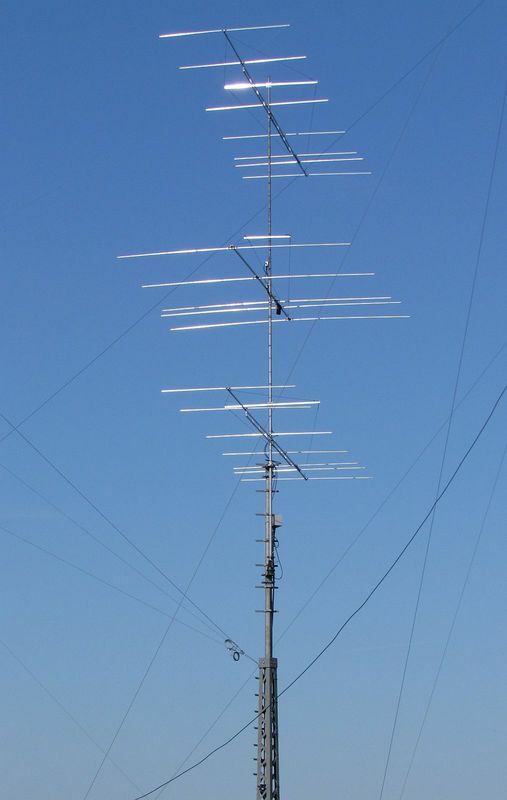 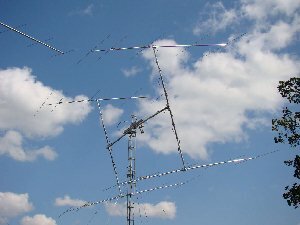 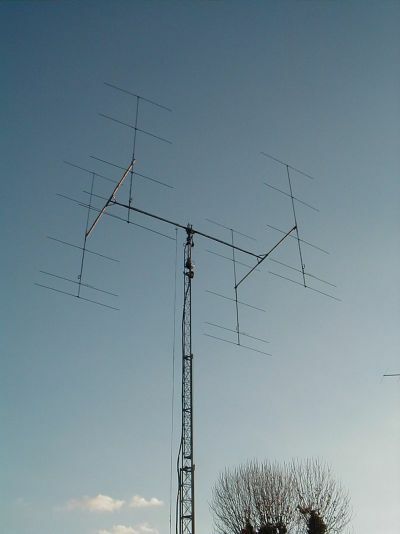 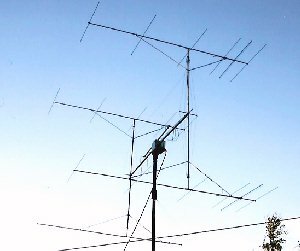 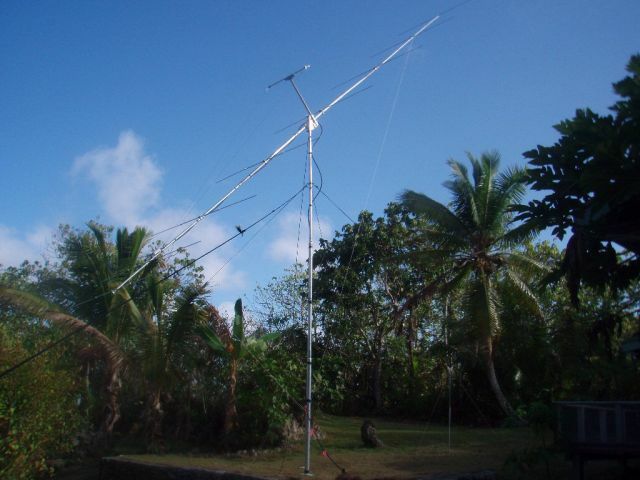 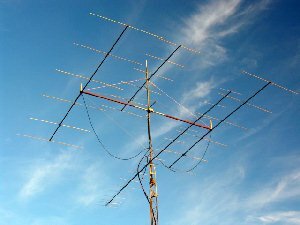 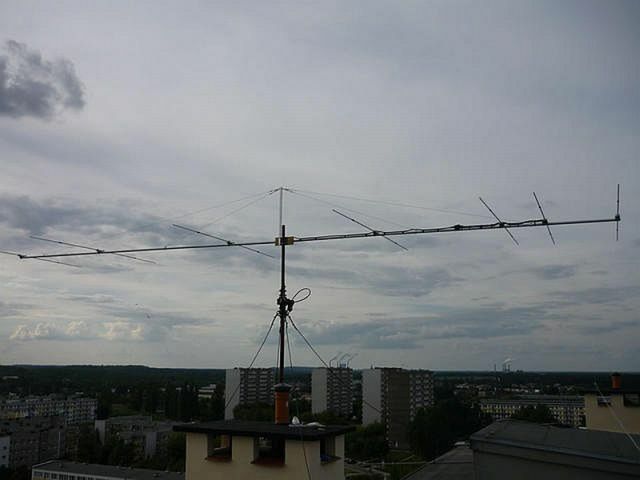 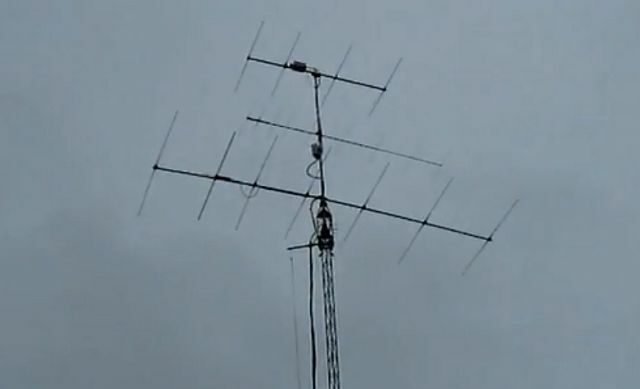 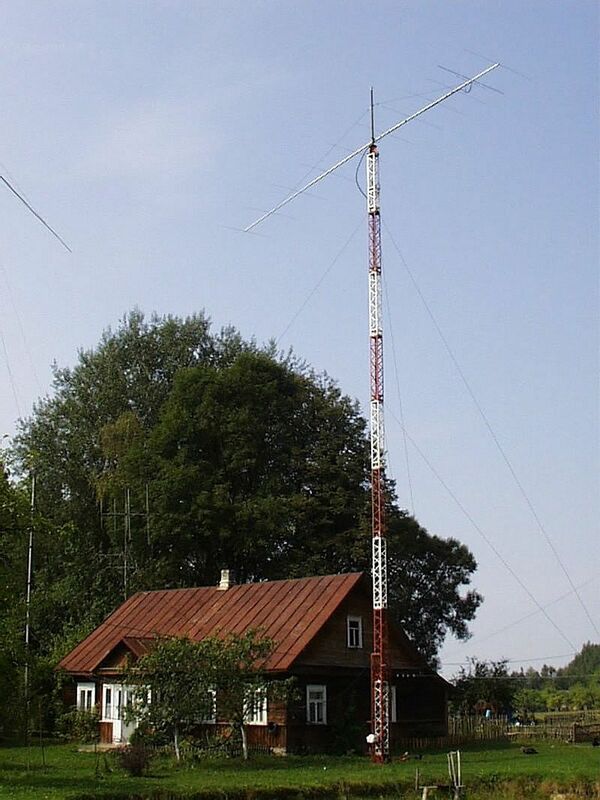 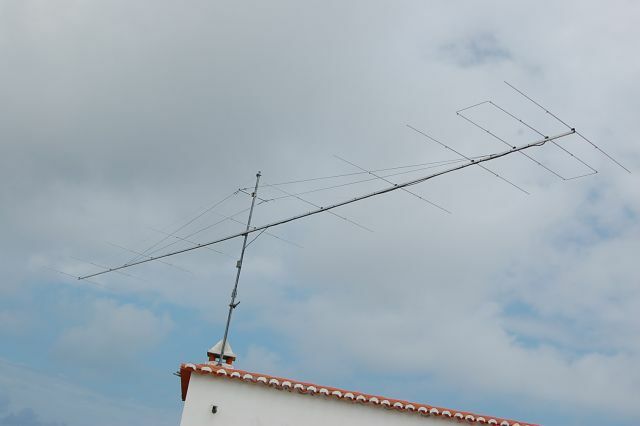 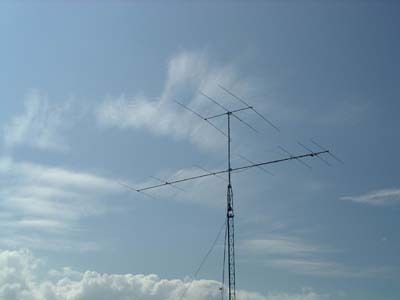 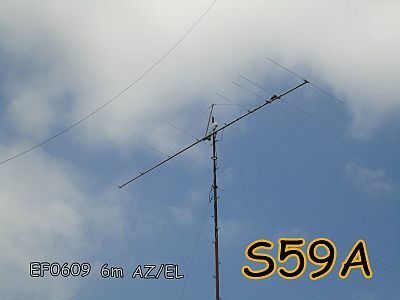 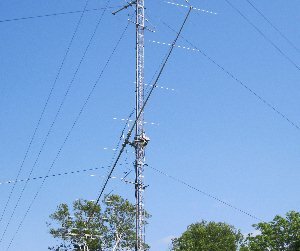 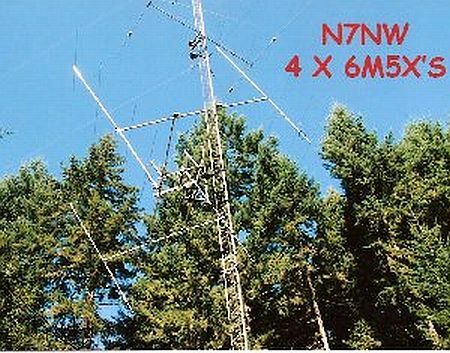 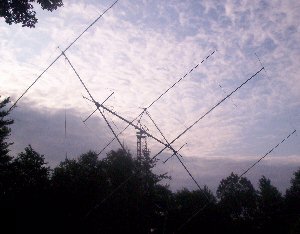 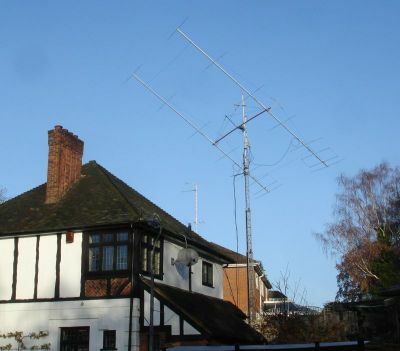 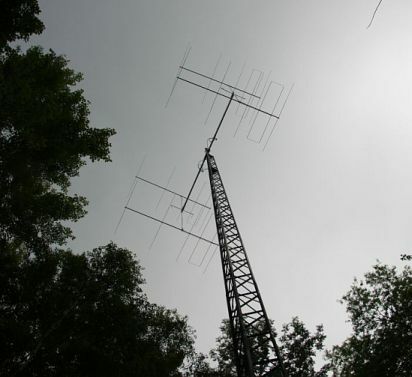 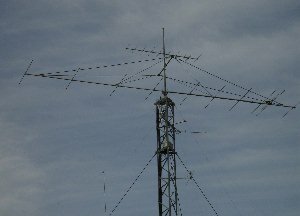 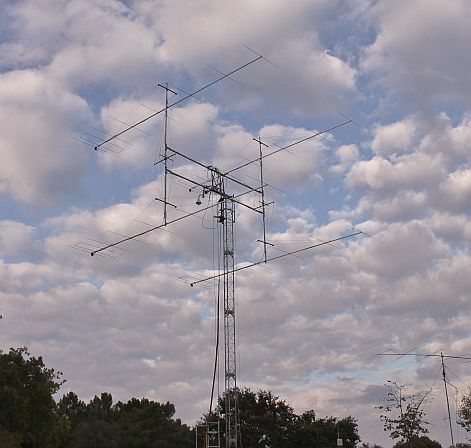 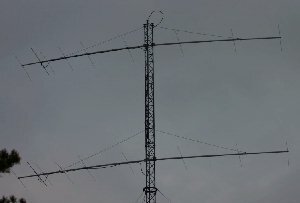 Antennas: 2 X 7 ele M2 6M7 Full AZ / ELE plus polarity rotation when needed. 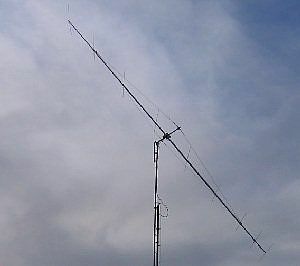 50 feet 1/2 inch heliax to shack. 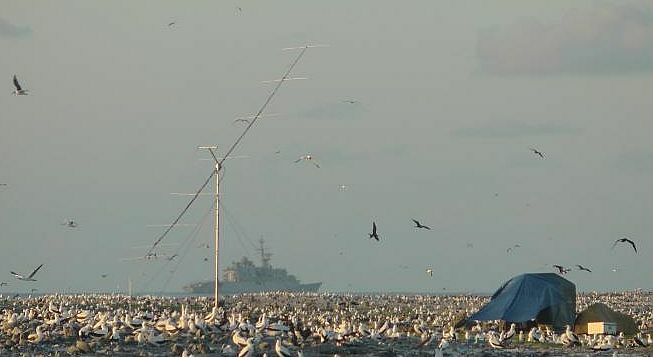 To find yourself in the log, go to your browsers EDIT > FIND command and type in your callsign. 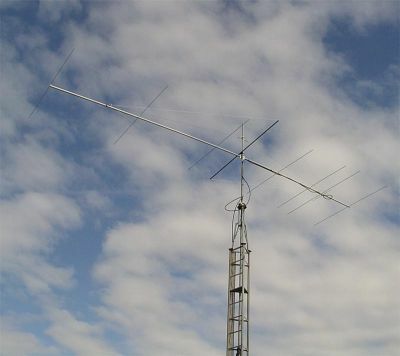 The horizontal frame is constructed with a ABS covered fiberglass core and a aluminum support at the center. 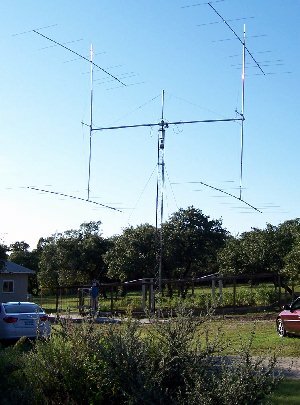 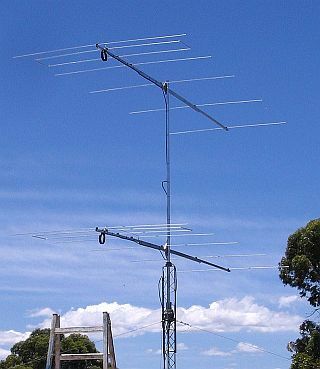 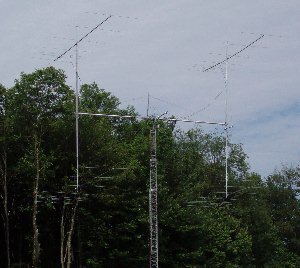 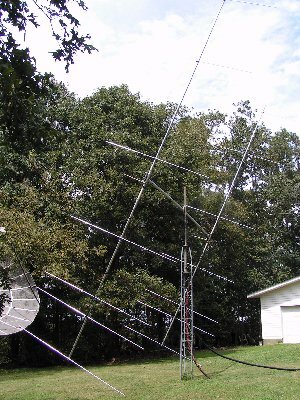 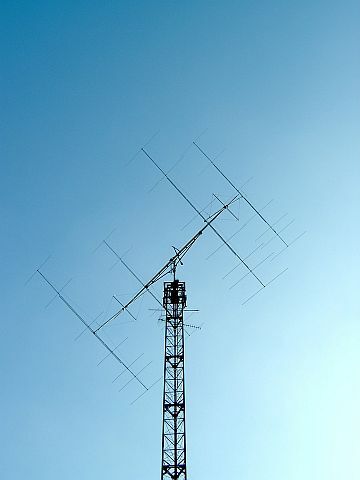 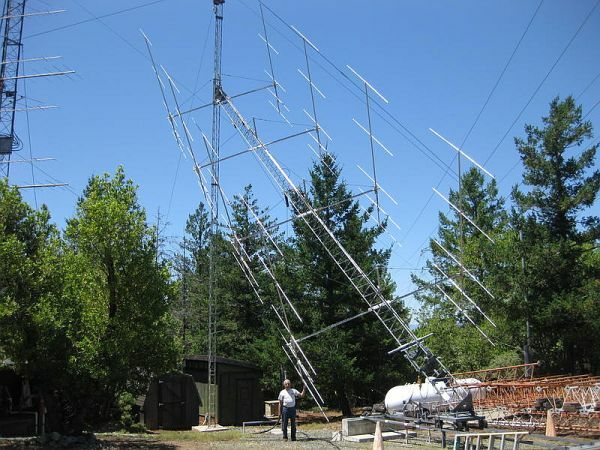 Antennas are spaced at 22 feet. 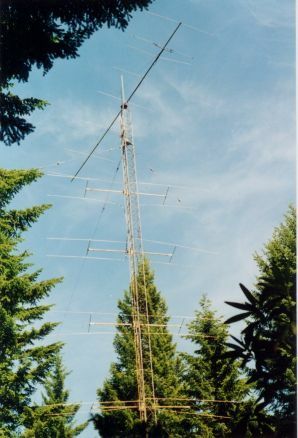 Horizontal support only sits at 12 feet above ground. 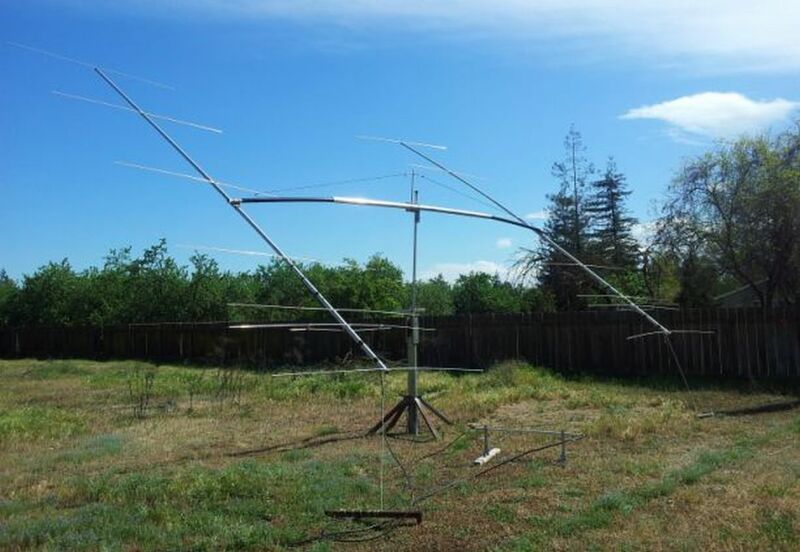 Initial test results of finalized version performed above expectation considering height and spacing of antennas. 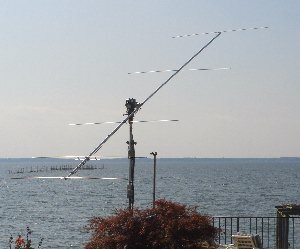 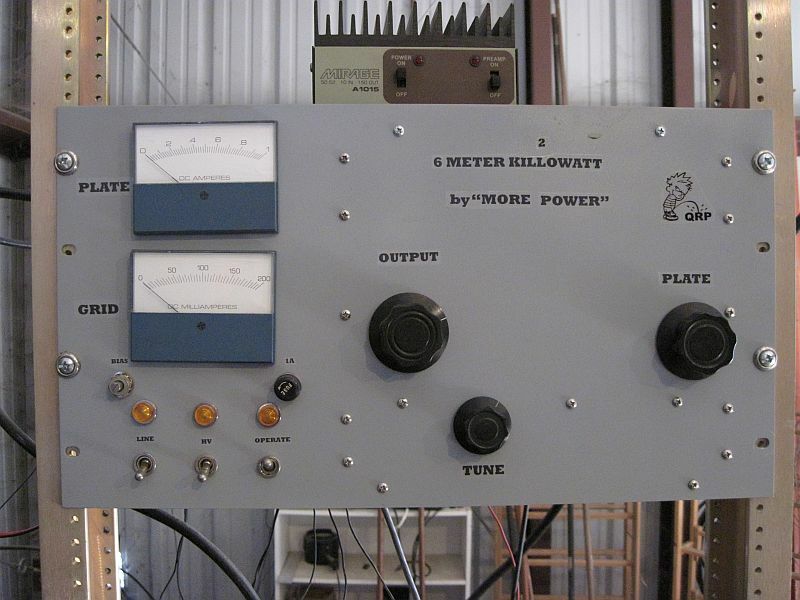 6 meter power divider constructed from 1 inch aluminum square tubing fed with weatherproofed LMR-400. 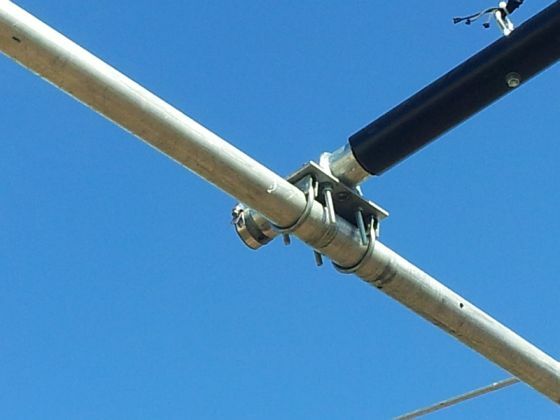 Power divider is mounted above ground to prevent ground water/rain puddling seepage. 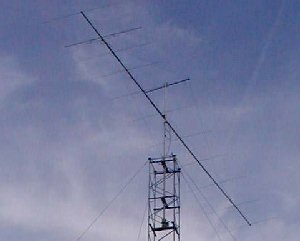 The 6 meter booms are mounted on short rotating aluminum collars to allow the antennas to spin freely to allow full elevation. 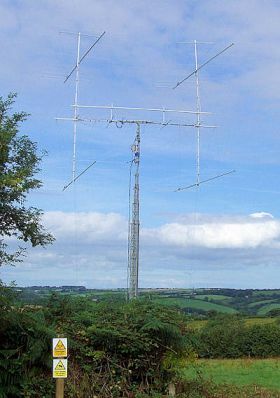 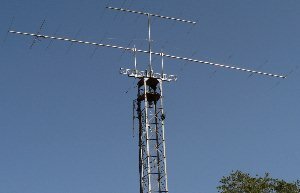 The boom to mast u-bolts can be readjusted to allow polarity rotation with a quick adjustment since the antennas are mounted low to the ground. 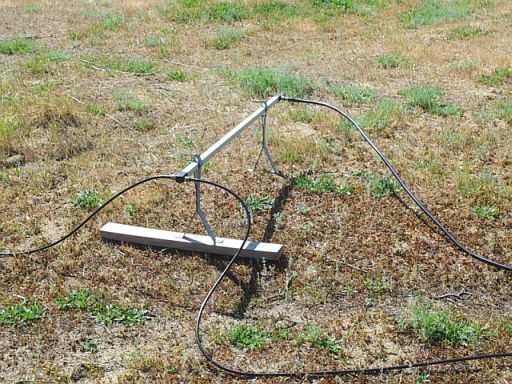 Great for quick maintenance or storm preparation tie-downs. 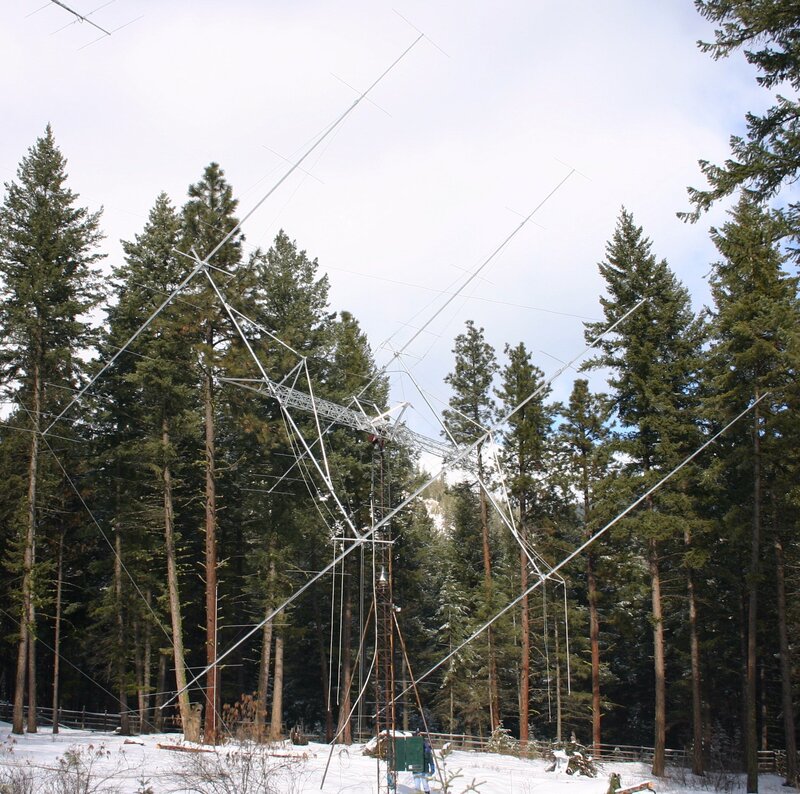 No stuck rotors or elevation restrictions to worry about.